Officers in Portsmouth took part in a week of national activity tackling ‘County Lines’ drugs supply last week and made eight drugs-related arrests. The focus was around disrupting drug dealing and pursuing offenders from drugs networks, who bring serious violence to our city and are intent on exploiting children and vulnerable people by using them to run drugs or to accommodate them in their homes. Undercover and plain clothed officers carried out extra patrols, safeguarding visits at the homes of known drug users and targeted local transport networks, including motorways and the railways, in partnership with British Transport Police. At about 10am on Monday 8 October, officers from the Cosham Neighbourhood Policing Team stopped a man near to Cosham Railway Station. A 24-year-old man from Portsmouth was arrested on suspicion of possess with intent to supply a controlled drug of Class A and acquire / use / possess criminal property. The man has been released from custody but remains under investigation. Drugs Related Harm Team officers arrested three people for drugs offences in Crabbe Court, Southsea, at about 1pm on Tuesday 9 October. A 24-year-old woman, a 22-year-old man and a 26-year-old man all from Portsmouth were arrested on suspicion of being concerned in the supply of Class A. The 26-year-old man was also arrested for possess with intent to supply a controlled drug of Class A. All three have been released from custody but remain under investigation. On Wednesday 10 October at around 12.15pm the Drugs Related Harm Team arrested two London men in Cottage Grove, Southsea. A 21-year-old man was arrested on suspicion of possess a controlled drug of Class A and a 27-year-old man was arrested on suspicion of being concerned in the supply of a Class A drug, drive a motor vehicle with a proportion of a specified controlled drug above the specified limit and other driving offences. Both men were released from custody but remain under investigation. Two people are due to appear at Portsmouth Crown Court on 22 October after they were arrested in New Road at 10am on Friday, 12 October. Jordan Andrew Whyte, 18, of The Tideway, Rochester, Kent, was charged with being concerned in the supply of cannabis, ecstasy, cocaine and heroin and two counts of possess a knife blade / sharp pointed article in a public place. A 17-year-old boy from Chatham, Kent, was charged with being concerned in the supply of cocaine, possess with intent to supply a controlled drug of Class A and possess a knife blade / sharp pointed article in a public place. They both appeared at Portsmouth Magistrates Court on Saturday 13 October and were remanded into custody. 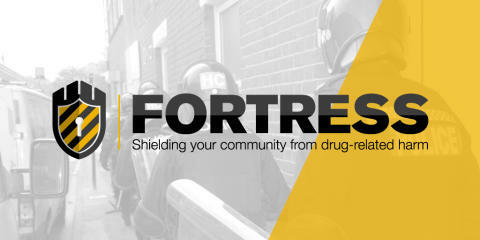 Detective Chief Inspector Nick Heelan said: “I hope this week of intensified action reassures the residents of Portsmouth that we are continuing to target drug dealers, to prevent harm and to protect communities. “We know that ‘County Lines’ gangs cause significant harm by bringing violence to our city and criminally and sexually exploiting children and vulnerable adults. “This is why drugs related harm is a priority for us and our partners, who we work with on a daily basis to tackle offenders, to reduce the associated violence and to safeguard the vulnerable people caught up in it. If you have information about drug-dealing, call the police on 101, or in an emergency or if a crime is in progress call 999. You can also contact the Modern Slavery Helpline on 08000 121 700 or Crimestoppers anonymously on 0800 555 111. Children’s Services at Portsmouth City Council also have a dedicated phone number to report concerns relating to the welfare of young people in the city, call 02392 688793.